Pablo M. Pinto is an Associate Professor in the Department of Political Science, and co-editor of the journal Economics & Politics. Pinto holds an M.A. from Aoyama Gakuin University in Japan, and a Ph.D. in Political Science and International Affairs from the University of California, San Diego. He also received a Law Degree from Universidad Nacional de La Plata, Argentina. Prior to joining the University of Houston in 2014, Pinto was a member of the faculty of Columbia University. He taught at the Escuela Nacional de Gobierno in his native Argentina, and the Universidad Nacional de La Plata, where he founded and directed the Department for Asia-Pacific Studies. He also worked as Chief Counsel for Toyota Argentina. Pinto's areas of expertise are international and comparative political economy, comparative politics, and quantitative methods. His research can be organized thematically around six related areas: the political economy of foreign direct investment, sourcing and the activity of multinational corporations; the causes and consequences of economic integration; the role of ideology, socialization and self-interest in the formation of individual preferences towards globalization; the domestic and international determinants of growth, development fiscal policy and taxation; political representation, turnout and voting; and randomization inference using observational data. 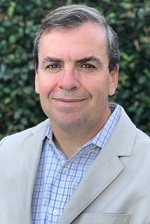 Pinto is the author of Partisan Investment in the Global Economy (Cambridge University Press) and co-author of Politics and FDI (Michigan University Press). His research has been published in International Organization, Comparative Political Studies, Legislative Studies Quarterly, International Studies Quarterly, Economics & Politics, Political Analysis, State Politics & Policy Quarterly, the Review of International Political Economy, edited volumes and other outlets. "Disentangling the Role of Ideology and Partisanship in Legislative Voting: Evidence from Argentina." Legislative Studies Quarterly (forthcoming), with Eduardo Aleman, Juan Pablo Micozzi and Sebastian Saiegh. "The Distributional Consequences of Preferential Trade Liberalization: Firm-Level Evidence." International Organization 71 no. 2 (Spring 2017), pp. 373-395, with Leonardo Baccini and Stephen Weymouth. "Fortune or Evil? The Effects of Inward Foreign Direct Investment on Corruption." International Studies Quarterly 60 no. 4 (2016), pp. 693-705, with Boliang Zhu. "Partisan Cycles in Offshore Outsourcing: Evidence from U.S. Imports." Economics & Politics 38 no. 3 (November 2016), pp. 233-261, with Stephen Weymouth. "Dyadic Analysis in International Relations: A Cautionary Tale." Political Analysis, Vol. 22, No. 4 (Autumn 2014), pp. 457-463, with Robert S. Erikson and Kelly T. Rader. "Sensitivity to Issue Framing on Trade Policy Preferences: evidence from a survey experiment. "International Organization, Vol. 67, No. 2 (Spring 2013), 411-437, with Martin Ardanaz and M. Victoria Murillo. "The Politics of Stock Market Development." Review of International Political Economy, Vol. 17, No. 2 Issue 2 (2010), 378-409, with Peter Gourevitch and Stephen Weymouth. The Politics of Investment. Partisanship and the Sectoral Allocation of Foreign Direct Investment. Economics & Politics, Vol. 20, No. 2 (June 2008), 216-254, with Santiago M. Pinto.